42.3 percent of 12th-graders have tried marijuana at least once. According to one study, marijuana use by teens who have prior serious antisocial problems can quickly lead to dependence on the drug. That study also found that, for troubled teens using tobacco, alcohol, and marijuana, progression from their first use of marijuana to regular use was about as rapid as their progression to regular tobacco use and more rapid than the progression to regular use of alcohol. All forms of cannabis are mind-altering (psychoactive) drugs; they all contain THC (delta-9-tetrahydrocannabinol), the main active chemical in marijuana. They also contain more than 400 other chemicals. Marijuana addiction is the consequence of habitual marijuana use. It can be described as chronically making the decision to quit using marijuana followed shortly thereafter by a relapse due to overwhelming cravings for it. Marijuana addiction is just like any other addiction. The user eventually feels they "need" the drug, finding they are unable to quit using it for fear of withdrawal symptoms and cravings. Marijuana addiction is not a term that many of today's youth associate with the drug. This lack of information is devastating. It creates more addicts everyday which might have been prevented if they knew the full toll this seemingly "harmless" drug can take on an individual. In 2002, it was estimated that over 280,000 people attended drug rehab for marijuana addiction. This statistic illustrates how someone's marijuana addiction is not something to be taken lightly. Marijuana addiction affects the user both mentally and emotionally. Individuals with a marijuana addiction problem come to believe that they need marijuana to function normally and to have fun. This misconception is very common among those who use the drug on a daily basis. Often times you'll hear them say "I can quit at any time. I'm just doing it because it's fun and there's nothing else to do anyway." This type of attitude is typical of an individual who is suffers from marijuana addiction. They smoke every day, even several times a day, and do not feel that they have a marijuana addiction problem. If compared to an individual who drinks several times a day, every day, would they be considered an alcoholic? The likely answer would be "yes." 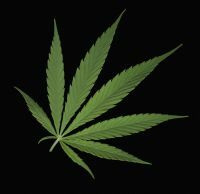 People with marijuana addiction problems tend to gravitate to others who share their common interest in the drug. They also lose interest in activities that once meant a lot to them such as going out with friends and participating in sports. Many users of marijuana do not consider that they have a marijuana addiction problem, but they would not want to stop using it if given the option. A study of college students has shown that critical skills related to attention, memory, and learning are impaired among people who have a marijuana addiction problem, even after discontinuing its use for at least 24 hours. Researchers compared 65 "heavy users," who had smoked marijuana a median of 29 of the past 30 days, and 64 "light users," who had smoked a median of 1 of the past 30 days. After a closely monitored 19 to 24 hour period of abstinence from marijuana and other illicit drugs and alcohol, the undergraduates were given several standard tests measuring aspects of attention, memory, and learning. Compared to the light users, heavy marijuana users made more errors and had more difficulty sustaining attention, shifting attention to meet the demands of changes in the environment, and in registering, processing, and using information. The findings suggest that the greater impairment among heavy users is likely due to an alteration of brain activity produced by marijuana addiction. Longitudinal research on marijuana addiction among young people below college age indicates those who used marijuana have lower achievement than the non-users and are more acceptant of deviant behavior. They also exhibit more delinquent behavior and aggression, greater rebelliousness, poorer relationships with parents, and more associations with delinquent and drug-using friends.